The work of Orange, CA Chicano muralist, Emigdio Vasquez looks forward as much as it looks back. Figures in the early mural, El Proletariado de Aztlan (1979) are bookended by a regal Aztec warrior standing in the mythic space of ancestral home and dignified portraits of family and friends that celebrate familiar sites in the neighborhood where the artist was raised. Workers modeled after Emigdio's elders stand alongside recognized activists like Cesar Chavez who, both acknowledge the viewer, and look afar. There is not one gaze in the mural, nor central focal point, but many perspectives woven with an equalizing spirit that the viewer’s gaze is asked to participate in. Throughout the composition, time, place, and identity are collapsed in service of meaningful exchange. 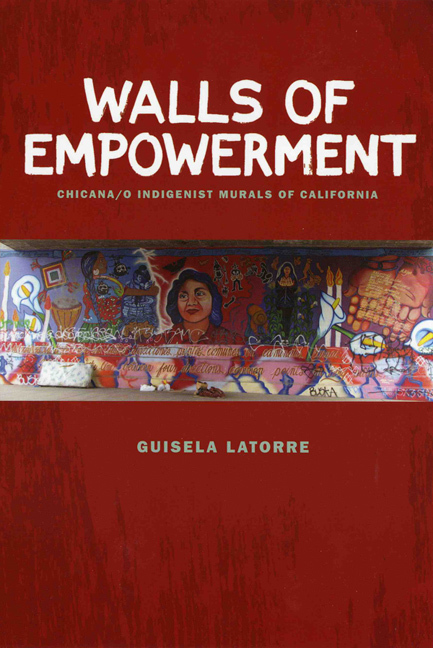 Such a dialogue exemplifies a vital strategy of assertion by Chicana/o artist’s when they, as described by Chicana/o and Womens Studies scholar, Guisela LaTorre in Walls of Empowerment: Chicana/o Indigents Murals of California, “imagined a relationship on equal footing between indigenous peoples and their former colonizers, but also non oppressive ways in which communities can come together as nations without violating the rights, sovereignty, and autonomy of other nations.” In this way, Emigdio Vasquez’s El Proletariado de Aztlan, sets a much needed space for consideration of past, present, and future. This experimental course focuses on the work of Orange, CA Chicano muralist, Emigdio Vasquez, and specifically his mural, El Proletariado de Aztlan (1979) as a space for fostering important conversations on identity, race, community, activism, and politics. Through Post-Colonial, Post-Structuralist, Marxist, and Feminist lenses we will examine what it means to be “Chicano” and how Chicana/o artists have navigated tumultuous terrain in search of autonomy and selfhood. This consideration will be intersectional in approach. Analyze the relationships between Chicana/o artistic practices and the social, cultural, and the ways in which political changes that took place in Mexico and the United States between the end of World War II and the present day have shaped Chicana/o identities. Recognize the theoretical concerns of art history and its allied disciplines, and discuss and apply specific theoretical perspectives to a given art historical context and to their own research projects. 7AI Artistic Inquiry: students compose critical or creative works that embody or analyze conceptually an artistic form at a baccalaureate/pre-professional level. 7SI Social Inquiry: employs theories of how people frame and analyze social and/or historical phenomena. 7CC Citizenship, Community, and Service: Engages in the theoretical and/or applied aspects of political, civic or social engagement in group affiliations. This class will be taught from the instructional website The Slide Projector at, www.theslideprojector.com. Lecture presentations, assignments, and other course materials will be available for you at this site and you will need to access it regularly. Selected essays will be posted to the Art 329 Assignments page at www.theslideprojector.com (see weekly schedule). Latorre, Guisele. Walls of Empowerment: Chicana/o Indigenist Murals of California. Austin, TX: University of Texas Press (2008). Eva Sperling Cockcroft and Holly Barnet-Sanchez ed. 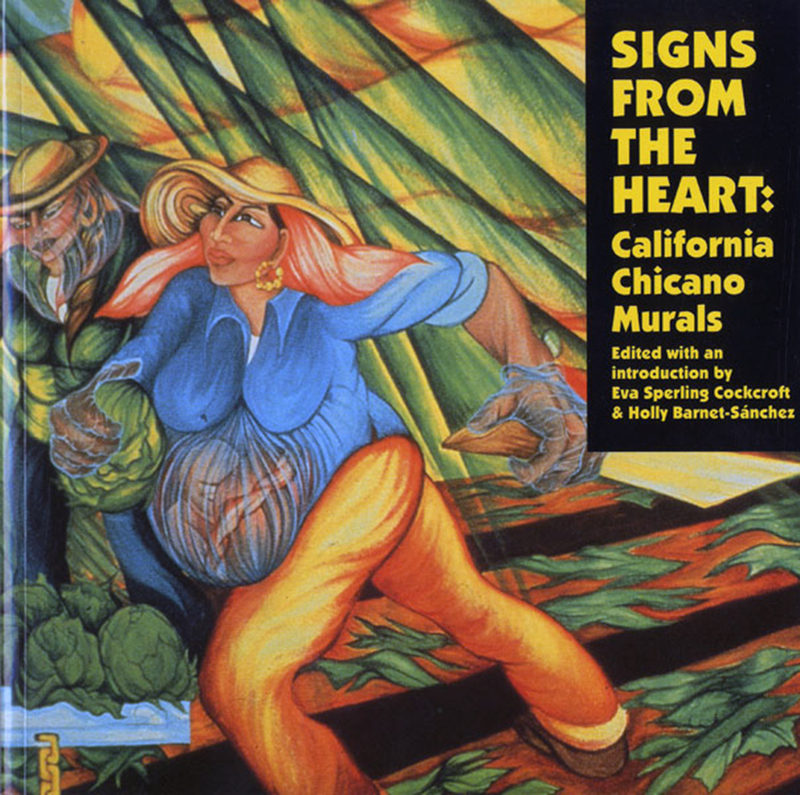 Signs from the Heart: California Chicano Murals. Albuquerque: University of New Mexico Press, 2001 (fourth edition). Alonzo, Juan. Badmen, Bandits and Folk Heroes. Tucson: University of Arizona Press, 2009. Barnet, Sylvan. A Short Guide to Writing About Art. Boston: Pearson Education Inc. (any edition, 10th or 11th preferred). Chon Noriega, Rita González and Howard Fox. Phantom Sightings: Art After the Chicano Movement. Los Angeles: LA County Museum of Art, 2008. De Alba, Alicia Gaspar. Chicano Art: Inside Outside the Master’s House, Cultural Politics and the Cara Exhibition. Austin, TX: University of Texas Press, 1998. D’Alleva, Anne. Methods & Theories of Art History. Second ed. London: Laurence King Publishing, 2012. Gamboa Jr., Harry. Collected Writings of Harry Gamboa, Jr., Edited by Chon Noriega Minnesota: University of Minnesota Press, 1998. Gonzalez, Juan. Harvest of Empire: A History of Latinos in America, Revised Edition. New York: Penguin Books, 2001. Nelson, Eugene. Huelga: The first hundred days of the great Delano grape strike. Delano, California: Farm Worker Press, 1966. Jones, Amelia. “Multiculturalism, Intersectionality, and “Post-Identity,” in Seeing Differently: A history and theory of identification and the visual arts. United Kindgom: Routledge, 2012. The Oxford Encyclopedia of Latinos and Latinas in the United States, edited by Suzanne Oboler and Deena J. González (2005). Martinez, Rubén. Desert America: A Journey Through Our Most Divided Landscape. New York: Picador, 2012. Sálazar, Ruben. “Who is a Chicano and What is it that Chicanos Want?” Los Angeles Times, Feb. 6, 1970. Solnit, Rebecca. Savage Dreams: A Journey Into the Hidden Wars of the American West. Berkeley: University of California Press, 2014. Montoya, Maceo. Chicano Movement for Beginners. Danbury, Connecticut: For Beginners LLC, 2016. Tomás Ybarra-Frausto, “Post-Movimiento: The Contemporary (Re)Generation of Chicano/a Art,” in A Companion to Latino/a Studies, Edited by Flores and Rosaldo United Kingdome: Wiley-Blackwell, 2007. Ybarra-Frausto, Tómas. “The Chicano Movement/The Movement of Chicano Art,” in Exhibiting Cultures: The Poetics and Politics of Museum Display, Edited by Ivan Karp and Steven D. Lavine Washington D.C.: Smithsonian Institution Press, 1991. Students will work toward course objectives through active and engaged participation during: field trips that will require commutes, and may entail a parking fee, and/or entrance fee; lecture presentations; class visits by expert guests; readings and in-class reports; the development of a field journal; in-class partner exercises; writing assignments; viewing images, videos, and representations of Chicana/o art. “Chicano”, “Mexican American”, “Hispanic” or “Latino”? Students will be evaluated on the presentation of evidence that they have achieved the course objectives; on the frequency and quality of their contributions to in-class discussion; on their ability to make oral and written critical observations about the artists, movements, and concepts presented in the course; on the quality of the writing they present for homework assignments; and on their ability to demonstrate growth in their understanding and application of the history and theory of Chicana/o art. Attendance and active engagement during class field trips may earn up to 20 participation points. Please note that the community experience is key to this grade. Missing a field trip, but traveling to the site on your own is great, but does not allow you the opportunity to share ideas and interpretation skills with your research team. Over the course of the semester, students will develop a Field Journal comprised of notes, sketches, condition reports, location, historical information, and other relevant information on the sites visited during field trips, and works/objects introduced during lecture presentations and in readings. Field Journals posted on Blackboard will be checked every Monday to earn a maximum of 25 points on each week's notes. Up to 100 points may be earned on these cumulated notes. Students will be asked to copy and paste portions of their journal entries to a public Google Doc that will be used by other faculty and students in the development of an informational app charting Emigdio Vasquez' work. Students are required to contribute to a glossary of new terms, timeline, glossary of relevant people, statistical information, and an archive of photographs related to course readings, class discussions, and class field trips. Construction of each of these documents will be collaborative, with each student held responsible for contributing at least twenty complete entries or high resolution photos (300-600 dpi) over the Interterm. Each contribution may earn up to 5 points with a total of 100 points possible for all entries. Using the collaborative glossaries above, each student is asked to compose at least three descriptions, caption information, background information / historical context for each of Emigdio Vasquez' murals visited this Interterm. An "App Materials" Google Doc will be created as a repository for this information. For caption information, each site will need to include: artist, title (with English translation if needed), date; medium and dimensions; location address and GPS coordinates; a description of the current condition of the mural. One entry is needed for each of Vasquez' works, so please be sure to check the App Materials Doc to be sure you are not adding an entry for a work that has already been considered. In addition to considering Vasquez' murals, we may also consider including entries on key sites in the artist's career (such as the Killefer School) or significant to the development of the Chicano/a Art Movement (such as Siqueiros' America Tropical mural on Olvera Street). Two excellent examples of how such materials will be utilized can be found on the Palm Springs Modern Committee's Mid-Century Modern Architecutral Tour app and the Curbed 49 of San Francisco's Most Awesome Murals, Mapped website. Entries on the App Materials Doc may earn up to 50 points. Students working in small groups will curate a vitrine located on the second floor of Argyros Forum centered around themes, theories and concepts central to this course to showcase the work of Emigdio Vasquez and other Chicana/o muralists active in Southern California during the 1970s and 1980s. Informational didactics, labels, and other explanatory texts will be written by each curatorial group, and then edited for clarity, correctness, and unity of voice by the class. An introductory banner didactic and/or pamphlet for the collection of AF displays will be collectively written over the course of the semester by students. Finally, student groups will create a maquette/diagram with inventory describing objects, ephemera, and imagery to be included in their designated vitrine. Up to 200 points may be earned through the collective work of curating the AF vitrines. Students will be invited to reconvene early in the Fall 2017 semester (possibly summer) to assist in the installation of objects, ephemera, and images in the display cases in conjunction with the Guggenheim Gallery exhibition, Seeking Level Ground: Exploring the development of Chicano/a murals through Emigdio Vasquez's El Proletariado de Aztlan, and Getty Pacific Standard Time: L.A./L.A. 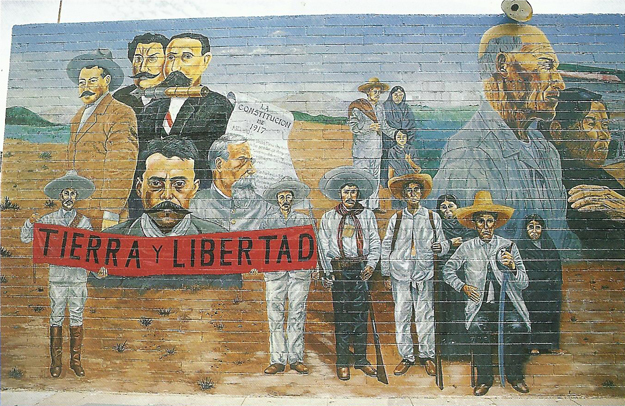 (Los Angeles/Latin America) project, Emigdio Vasquez and El Proletariado de Aztlán: the geography of Chicano murals in Orange County. Students are limited to earning a maximum of 25 points, 5% of the total points possible (500), in extra credit points during the semester. Any points earned above this cap will NOT be applied to the final grade. Points will be earned on writing assignments through committed consideration of the material, demonstration of learned concepts and language, and evidence of critical thinking. In addition to the individual requirements, each writing assignment will earn points based on rigorous analysis through the skilled application of the art historical methodologies, as well as pointed and thoughtful responses to the questions proposed. Writing demonstrates excellence in both articulation and critical thinking. Art historical methodologies are used thoughtfuly and with exceptional skill. All questions are answered thoroughly, and disussion points carry beyond basic responses with sophistication. Credible academic sources were employed to support the author's positions, and Chicago Manual of Style citation rules were carefully followed. The written assignment leaves little to no room for improvement, and demonstrates committed interest in the discipline. Writing demonstrates clear focus and an above average consideration of the subject matter. While all questions have been answered, there is room for improvement in carrying the analysis and discussion beyond a basic response. The work exhibits potential for excellence however, a clearer application and understanding of the art historical methodologies is needed. Author has met the requirements for research and citations, but the stated positions could be significantly served by additional research. Most of the material is understood, but the focus is not entirely clear, and analysis is cursory. Question responses could be more fully realized, and the material, more thoroughly examined. Citation issues are present, little research was executed in support of the author's positions, and/or sources are not credible or academic. There are issues with language that make the writing somewhat difficult to understand. Lowest possible grade for a complete assignment submitted on time. Writing demonstrates little understanding or connection with the material and is flawed in content and form. Question responses do not provide evidence of critical thinking. Citation issues are present, no research was executed in support of the author's positions, and/or sources are not credible or academic. There are issues with language that make the writing very difficult to understand. Work fails to meet any requirements satisfactorily. Assignment is incomplete but shows potential. Student is offered one additional class day to revise, add to, and re-submit the assignment. Conversation and debate will be central to the learning experience this semester. Art historians do not work in secluded spaces that are entirely disconnected from the world around them. Given the importance of engagement, students will be expected to fully commit to in-class dialogues and will agree to take a break from texting, emailing, and fulfilling requirements for courses other than our own, while in class. Laptop, tablet, and smart phone use will only be permitted for use in class when the devices are being used for the purpose of understanding Art 329 material. Students found to be using devices during class for activities other than those related to Art 329 may be asked to leave class until their full attention can be directed to our course material. Regular attendance is mandatory. You are permitted two unexcused absence without damage to your grade. More than two missed classes will potentially lower your grade, and missing four or more classes will put you at risk of failing. Please also be punctual! Students arriving 15 or more minutes after class begins should expect to be marked absent for the entire class session and may miss the departure of the class on arranged field trips. Students are asked to exchange contact information with their classmates to remain connected to the class as we travel to various destinations. Please submit coursework on Blackboard or Google Docs before the start of class on the day the assignment is due, even if you will need to miss class. You may submit one assignment, one class day late. The late assignment will not be marked down, however any assignments turned in more than one class late, or in addition to the one accepted assignment, will only receive credit at the digression of the instructor. In compliance with ADA guidelines, students who have any condition, either permanent or temporary, that might affect their ability to perform in this class are encouraged to inform the instructor at the beginning of the term. Upon recommendation of the Center for Academic Success, adaptations of teaching methods, class materials, including text and reading materials or testing may be made as needed to provide for equitable participation. Chapman University is committed to ensuring equality and valuing diversity. Students and professors are reminded to show respect at all times as outlined in Chapman’s Harassment and Discrimination Policy: at www.chapman.edu/faculty-staff/human-resources/eoo.aspx. Any violations of this policy should be discussed with the professor, the Dean of Students and/or otherwise reported in accordance with this policy. This is a tentative schedule that may change. Assignment directions and due dates will be posted on The Slide Projector and on Blackboard. Updates will be announced in class, on lecture presentations, and modified on the Syllabus page of The Slide Projector. Emigdio Vasquez, portion of Memories of the Past and Images of the Present, 1978.